Our busy lifestyle leaves us with little time to take care of an important part of our body that carries us around the entire day, i.e. our feet. Our feet carry us around everywhere, as we continue to finish our daily tasks and chores, resulting in them receiving maximum pressure resulting in dry and cracked feet! Cracked Heels are formed due to dry skin and excessive pressure of the body weight thereby leading to painful cracks. With time, these cracks can either bleed or translate into a skin infection and become a serious problem. If this problem sounds familiar, Vaseline Moisture Therapy Heel Creamis the one step & easy solution to painful cracked heels. Upon regular application, the cream provides instant relief and also seals moisture for long-lasting care and accelerates skin’s natural barrier which helps in healing and filling the cracks in the skin. 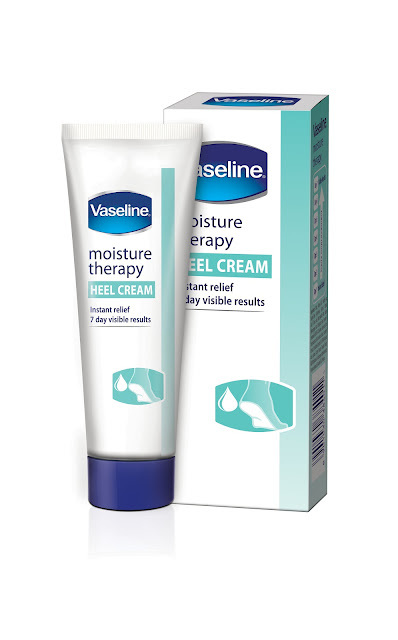 Vaseline® moisture therapy heel cream contains a proven combination of skin moisturizer and skin protectant that promotes the healthy environment for dry skin to repair itself, thus making them soft and smooth in just 7 days! So bring home a personal spa session and enjoy happy feet with Vaseline Heel Cream. Available in 40gm for Rs 75 and 20gm for Rs 45 respectively, Vaseline Heel Cream is available at select modern trade outlets, leading Groceries and Cosmetic Stores across the country. I don't have cracked heels but getting slightly hard skin nowadays ..would this work for that?